City/county officials from all across north Georgia attended the GMRC meeting at Camp Frank D. Merrill last week. DAHLONEGA, Ga. – The Lumpkin County Board of Commissioners and the City of Dahlonega hosted the monthly meeting of the Georgia Mountains Regional Commission (GMRC) Thursday in the dining facility at Camp Frank D. Merrill, the US Army Ranger facility. 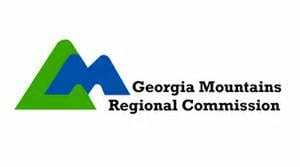 The GMRC serves local governments of the Georgia mountains region by improving the quality of life through economic development, community planning, information technology, and workforce development to support and enhance the region’s prosperity. Named for the famous Ranger General of World War II in the Burma Campaign, Camp Merrill is the home of the US Army’s 5th Ranger Training Battalion, where Ranger candidates receive mountain warfare training. Lumpkin County staff and elected officials attend GMRC meeting. 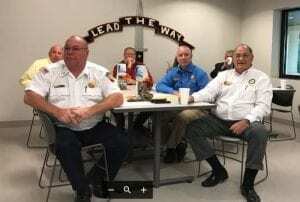 Lumpkin County Commission Chairman Chris Dockery welcomed city and county officials from all across north Georgia. 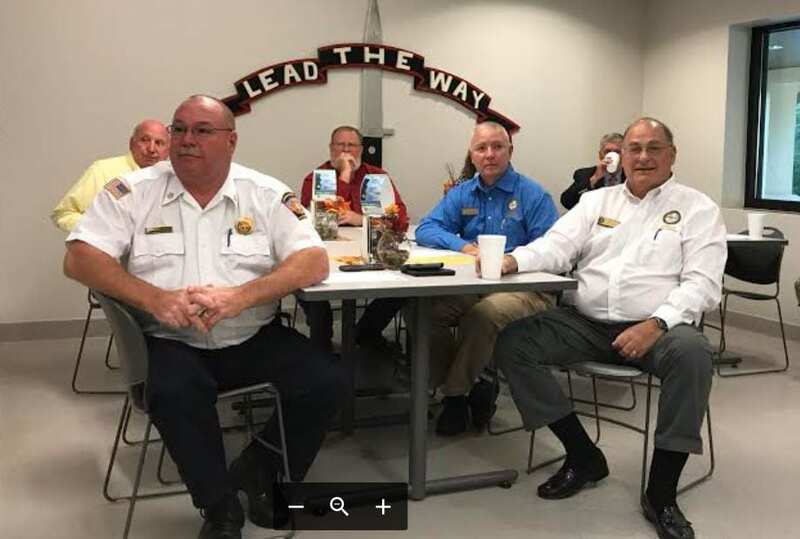 County Manager Stan Kelley, a former Army Ranger, Commissioners Bob Pullen, David Miller, Rhett Stringer and Bobby Mayfield attended along with Fire Chief David Wimpy and Public Works Director Larry Reiter. Command Sergeant Major (CSM) Michael Hack briefed the audience on the rigorous training regimen ranger candidates undergo in order to accomplish their mission of providing logistical support, training, mobilization, deployment, supporting, sustaining and reconstituting forces. Roseann Kent, director of the Appalachian Studies Center at the University of North Georgia, explained how the center provides students with a unique opportunity to discover the arts, history, music and nature of southern Appalachia through community engagement, service learning, undergraduate research and creative activities. The center is located on the Dahlonega campus across the street from Price Memorial Hall in the Historic Vickery House. 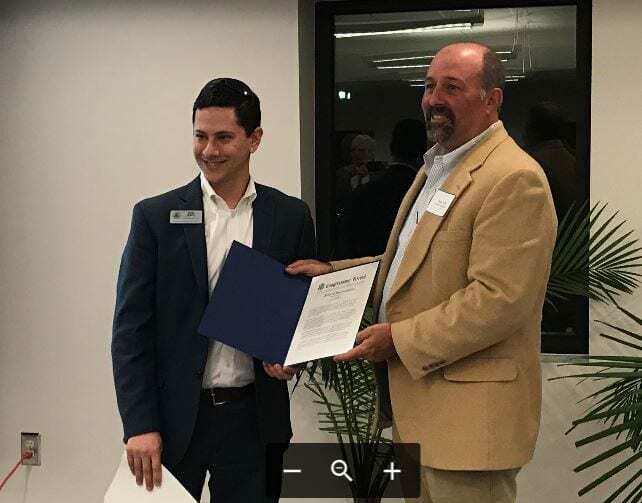 Lumpkin County Mayoral candidate Sam Norton (right) receives recognition during Small Business Week for his Picnic Cafe. Dahlonega City Councilman Sam Norton, who is running for mayor in the Nov. 7 election, was given special recognition by Congressman Doug Collins’ office for during Small Business Week for the small business he started in Dahlonega called Picnic Café. The GMRC also held a Workforce Development Board Meeting in the second floor conference room of the Lumpkin County Administrative Building in Dahlonega.